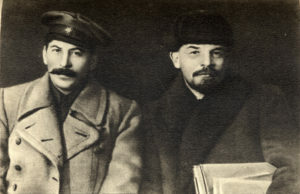 In this section of our course, I will focus on the emergence and later demise of the Leninist Nation-state, two of the most dramatic developments of the nineteenth and twentieth centuries. Here’s a point we can all agree upon: The communist regimes of the past century frequently pursued policies horrific policies; millions of people under Leninist rule. This is a fact. Still, we have to ask why these regimes lasted as long as they did. After all, for much of the twentieth century there were as many Leninist Nation-states in the world as Liberal Democratic states. The answer to this question is that Leninism represented the preeminent challenge to Liberal Democracy in the modern age. Covering this historical period isn’t just a matter of appreciating a now deceased political identity. As I shall argue in this section, the legacy of Leninism helps us to understand the popularity and practices of Vladimir Putin and Kim Jong-un today. 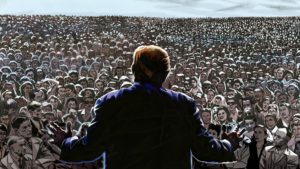 Even more important, this period provides essential clues to understanding why people might support populist and dictatorial ideologies in our own part of the world–and why others might break away from these ideologies. In other words, the past is present—and future. I have written extensively on this issue. If you like, feel free to read my new book, Vanguard of the Revolution. NOTE: my book is not a required reading in this class, though you are certainly welcome to reflect upon my arguments and discuss them with me. Reflections on Karl Marx’s Communist Manifesto and its significance for the history of world communism. Today’s Question: Why did so many smart, well-educated people become Marxists? My argument is that Marxism shared many of the same foundations as Liberalism, even though it represented a radical critique of Liberal thought. It is essential to understand Marxism because it paved the way for a fundamentally different path to the Modern Nation-state. In the contemporary world, it is equally important to ask why any intelligent person would support violent extremism. The problem just won’t go away. Assignment: Read the Manifesto carefully–I suggest, at least three times. It is one of the greatest and most influential publications of all time. Look beyond the details for Marx’s overarching argument. What kind of argument is he making against capitalism? Why would it have been so appealing to many 19th and 20th century radicals? Indeed, why might it even appeal to contemporary populist politicians, especially Bernie Sanders and, yes, even Donald Trump (but not to non-populist traditional politicians like Hillary Clinton and Paul Ryan). As you read the essay, pay close attention to what Marx says about the revolutionary character of the bourgeoisie. Karl Marx and Friedrich Engels, The Communist Manifesto, sections, 1, 2, and 4. How could a Republican politician, like John McCain, find anything to admire in a communist? Reflections on the causes of the Bolshevik revolution and its roots in the unintended consequences of the rtsars’ imperial ambitions. Today’s Assumption: Marx never expected that his proletarian revolution would take place in the East. In fact, he predicted it would not. So, how did the event happen? One must consider the setting of the Bolshevik revolution of October 1917 in order to understand why this context was better suited to mass upheaval than the western industrial world. In considering the Bolshevik revolution, I also mean to address the issue of historical and political change. Since people use and overuse the word “revolution” all the time, I want you to think about how we should distinguish between truly “revolutionary” events, on the one hand, and events that are only highly significant, on the other. In my view, with which some observers would disagree, there haven’t been many revolutions in modern history. Indeed, I am not totally convinced that the American Revolution was a “revolution,” at least not socially or economically. Please feel free to disagree with me. Discussion: The Communist Manifesto was once banned across the United States (along with other classic works, such as Catcher in the Rye, The Canterbury Tales, and Ulysses). Now you can read it and try to figure out what all the fuss was about. (Or was it simply dumb to ban it? I am personally opposed to the banning of books—see Fahrenheit 451). In some ways, Marx’s thinking was consonant with Liberal values. But at the same time, he came to radically different conclusions about how Liberalism’s leading principles could be realized. How can both of these claims be true? Keep in mind that Marxism had to come from somewhere. In fact, it had the same historical roots as Liberalism. 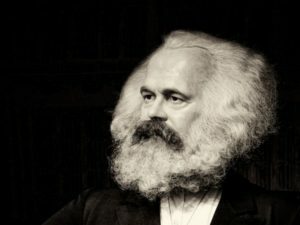 Assignment: If you had been alive in any tumultuous period in European history–Marx wrote the Manifesto during a period of social, political, and national upheaval in 1848–what is the single-most important point in the Communist Manifesto that would have made you decide to become a communist—and why? One paragraph. You do not need to know about the rebellions of 1848, but if you are curious, read HERE. Reflections on Vladimir Ilyich Lenin’s transformation of elementary Marxism into a new political identity: Leninism (originally known as Bolshevism). Assignment: The best way to understand the fully tragic implications of Leninism is to see how it was implemented at the height of the Soviet revolution under Josef Stalin. To this end, I am asking you to read the Man himself. Selections from Josef Stalin, Foundations of Leninism. PRINT AND READ Section 4 (“Dictatorship of the Proletariat”) and Section 8 (“The Party”) Get a general sense for Stalin’s argument; don’t worry about the details. The rousing anthem, “The International,” became the hymn for communist and other radical working-class movements throughout the world. Watch Pete Seeger sing the The Internationale. I sang it to my tour guides when I was in Pyongyang, North Korea and it drove them crazy. How could they prevent me from paying tribute to one of their ideological forebears! Yet the entire time I was in North Korea, I only saw one picture of Marx and Lenin. Reflections on the transmogrification of Leninist utopia into Stalinist terror. Today’s Assumption: Stalin’s regime of terror was intrinsically, if not inevitably, rooted in the goals and institutions of Leninism. Leninism also degenerated into horrific violence in other countries, especially China. But as I will suggest in a coming lecture, it had different roots due to the fact that not all communists followed the same path to power. Discussion: You have been assigned to start a revolution–a real one!–at Notre Dame. Based upon your reading of the chapters from Stalin’s Foundations of Leninism, please exuberantly and passionately discuss the following two questions: 1) what would Lenin (and Stalin) advise you to do to foment this revolution? and 2) what challenges would you face in fomenting this revolution and then keeping it going? To put the question more generally: Are all true revolutions inevitably destined to spiral into violence? Reflections on the Leninist challenge to Liberal Democracy. Today’s Assumption: Leninism was initially a credible challenge to Liberal Democracy. Its lasting appeal was reinforced by a variety of factors. In the 1980s, I had the rather unusual experience of living in East Germany. I’ll attempt to give you a sense for these factors by sharing some of my experiences in the years before the fall of the Berlin Wall. Assignment: In the 1980s, all of the experts, including yours truly, were skeptical about the idea that people living under communism could rise up spontaneously against their leaders. Yet in the late 1970s, dissidents like the physicist Adrei Sakharov and the playwright Vaclav Havel, were already providing the ideas about why such events might occur. NOTE: Havel’s essay is not only about life in Czechoslovakia. It is about what it means to “live within the truth” in any social, including the US. This is a big theme in Fahrenheit 451. The dispute over the meaning of “truth” and its implications for our behavior is also central to the crisis of American democracy today. Václav Havel, “Power of the Powerless,” in Open Letters: Selected Writings, 1965-1990, sections I-VI. The “Power of the Powerless” is challenging reading. I am honored that you will take up this challenge. This film chronicles the experiences of an American debate team as its members travel around the Soviet Union in 1983, two years before Mikhail Gorbachev came to power. Do not be late for class. We will start promptly at 9:30. Discussion: Discuss the first half of “Power of the Powerless.” Why is the green grocer so important to Havel’s argument? Would you have acted differently than the green grocer if you had lived in a Leninist state? What kinds of events would be required to convince the green grocer that he should rebel? What types of circumstances would persuade you, too, to rebel? Paragraph Assignment: To what extent, if at all, do we “live within a lie” in the United States”? Reflections on the sudden and total collapse of the Leninist Nation-State. Today’s Assumption: No one predicted this explosive development (in the serious sense of the word “prediction”). By the same token, Leninism was not destined to collapse when it did. Finish Reading Václav Havel, “Power of the Powerless,” in Open Letters: Selected Writings, 1965-1990. 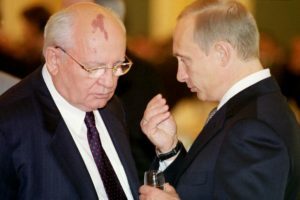 Based upon what you have seen, could Leninism have been reformed in the way Gorbachev hoped? How compatible were Gorbachev’s two primary reform concepts (below) with the Leninist political identity? Implications: What lessons can we learn from the communist experience about the collapse of dictatorships in general? Is it enough to present people with the facts about a dictatorship’s failings to make them want to risk rebellion? Reflections on the fuzzy transition to post-communism in the 1990s and then the advance of populist hysteria in the 2010s. Today’s Assumption: The big surprise was not only that Leninism fell between 1989 and 1991. In many cases, it began the gradual progression to something resembling Liberal Democracy. Yet despite all the promise of this period, we now face a sobering question: Will viable democracy survive in any meaningful sense? Peculiar signs of life after dictatorship! What is new and what has changed after the revolutions of 1989-1991? Once you have read these articles, reflect upon alternative models for this transition: mass extinction or archaeopteryx. What would the adoption of one or the other of these images tell you about political change? Your Second Reflective Essay Question is HERE. You will receive the assignment on Wednesday, March 21 and have a week to respond to it. Discussion: Finish your discussion of Havel by asking what makes the green grocer revolt. Is Havel’s analysis persuasive? Or when we are dealing with oppressive dictatorships, is it just wishful thinking to expect that the weak will rise up against the strong? Paragraph Assignment: Identify one example of “living within a lie” in the United States today and specify what would need to happen to make you fight to overcome it.